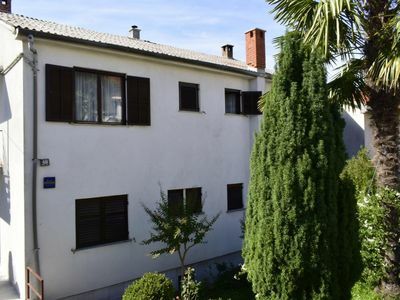 The homely Villathis property is made of traditional white Croatian stone with green shutters and light wooden doors. 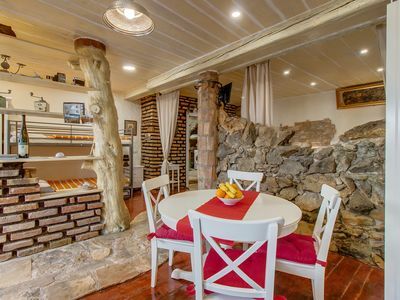 The inside of the villa is also decorated in traditional fashion with comfortable furnishings and modern amenities for your stay. 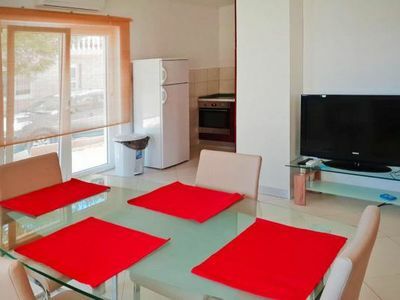 The interior is decorated in a homely fashion, making this villa feel like a home away from home. 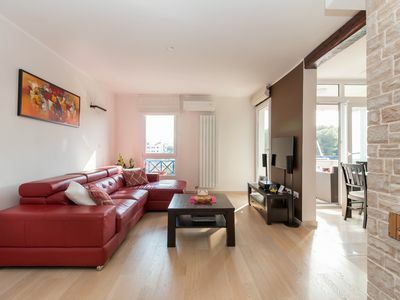 The living room and kitchen provide ample space to relax and spend time with your loved ones as well as enjoy family dinners in the large dining space. There are 4 double bedrooms within the villa providing space for up to 8 people, three of which have their own contemporary bathrooms. 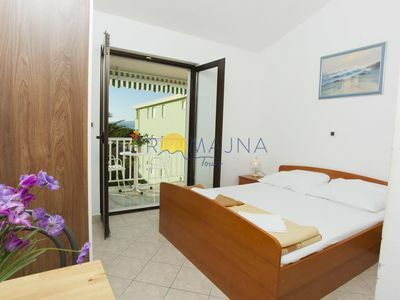 The bedrooms have large, comfortable beds and ample storage space. One of the double bedrooms comes with a shaded balcony area where you can enjoy the scenic views and peaceful surroundings. 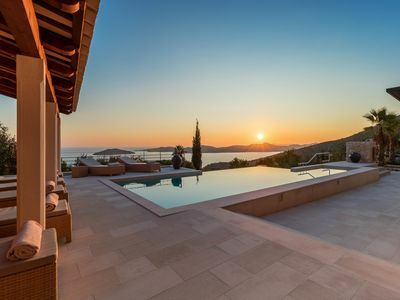 The villas outdoor terrace area provides plenty of space to soak up the Mediterranean sunshine with deck chairs and a modest swimming pool that illuminates at night. 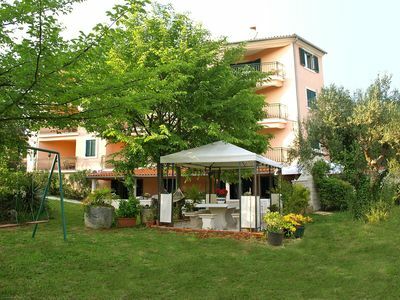 The swimming pool area is surrounded by trees for ultimate privacy. Also outside there is a shaded dining area so you can dine al fresco. 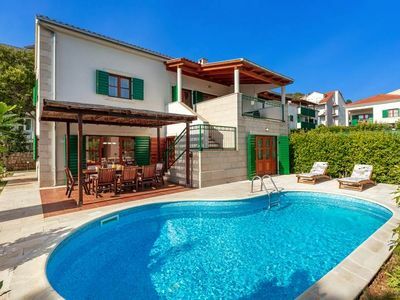 Villathis property is on a small hotel complex in a tranquil area on Hvar Island, the villa benefits from the onsite reception service as well as the bar and breakfast restaurant, although there are a number of supermarkets and restaurants within half a kilometre. The beach is just a stone’s throw from the villa. 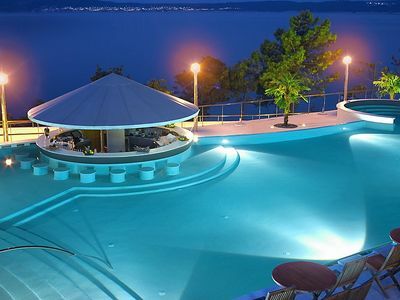 Hvar Island is the pearl of the Adriatic and one of the most popular Croatian destinations. 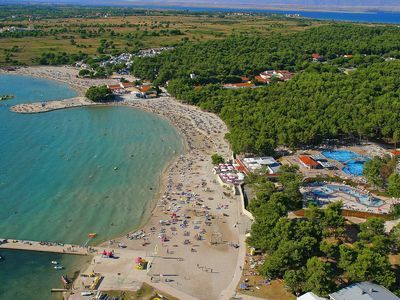 As well as being the sunniest island, it boasts clear seas, historical sites and traditional gastronomy for you to indulge. Hvar is also a great base for visiting other Croatian islands, with daily ferries going to Split, Brac and much more. Although the villa is walking distance we do recommend hiring a car in order to explore the rest of this stunning island. Saturday in July and August, for other periods please ask our sales specialists for more information. 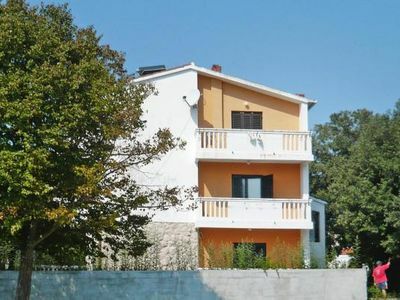 This is a beautiful 4 bedroom property located in Splitsko-Dalmatinska Županija, Croatia. 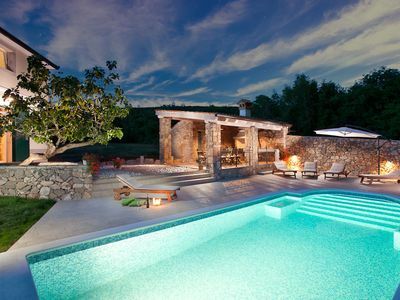 This villa, in Hvar, is a comfortable property sleeping 8 people. 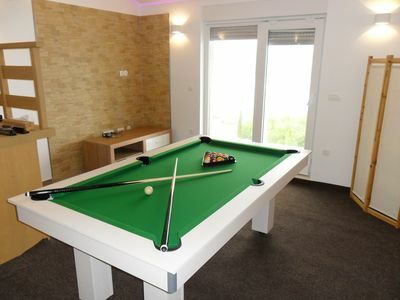 The villa offers superb accommodation, including modern luxuries such as a swimming pool, air conditioning, DVD player, television and internet access. 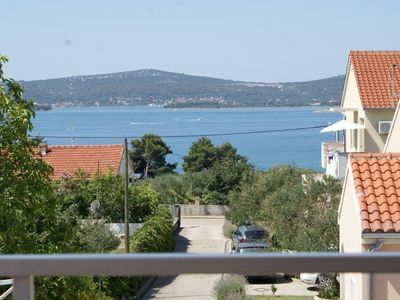 You can stroll down to the nearest beach in this Croatian villa, which is 70 kms away.